What is far away depends very much on your own perspective... I was in San Diego, CA, last saturday. Great farmers market in Little Italy. 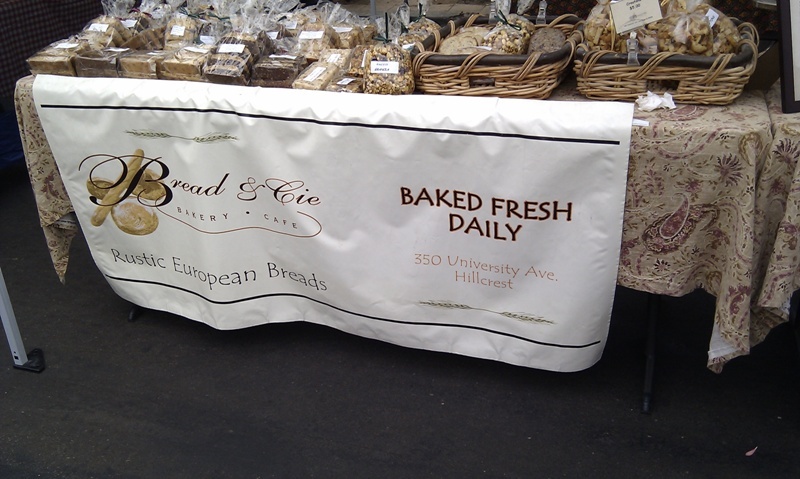 Surpised by the quality of http://breadandciecatering.com. Sorry that I could not buy anthing - the market was at the beginning of my stay there-, but it sure was tempting. And my boy just returned from Paris (a week's holiday) and brought me the following from Poilane. What more can one wish for? It smells great. Time for some holidays now! Happy baking. Cheers, Jw.